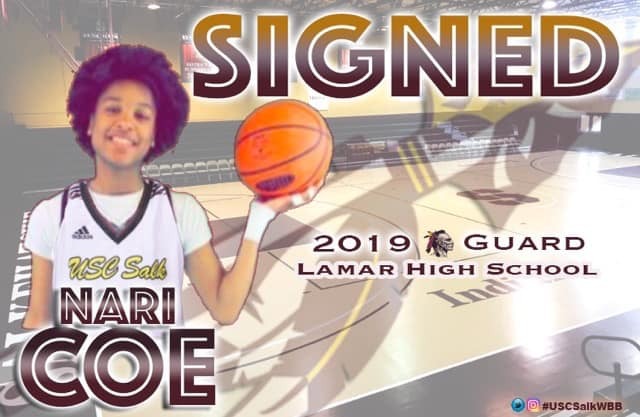 5’8/CG Nari Coe of Lamar HS in Lamar, SC. Nari is a 1000 point scorer at LHS. This past season she had 6 games with 30+ points – including two 50+ point games. Welcome Nari!